Visby is a locality and the seat of Gotland Municipality in Gotland County, Sweden with 22,236 inhabitants in 2005. It is the only one with city status on the island of Gotland; it is arguably the best-preserved medieval city in Scandinavia and has been named a UNESCO World Heritage Site. Among the most notable historical remains are the 3.4 km long stone wall called Ringmuren (“the Ring Wall”), that encircles the city and the old church ruins. The name “Visby” comes from the Old Norse Vis, (genitive singular of Vi) meaning sacrificial place, and by, meaning “city”. The earliest history of Visby is uncertain, but it is known to have been a centre of merchandise around 900 AD. It was inhabited as early as the stone age, probably because of the access to fresh water and a natural harbour. In the 12th century, Visby Cathedral, dedicated to Saint Mary, was constructed. It was reshaped in the 13th century to its current appearance, and was officially opened in 1225 by the bishop of the Swedish city of Linköping. Several other churches were also constructed in the ensuing centuries. The city flourished, thanks to the German Hanseatic League. The work on the ring wall was likely begun in the 12th century. Around 1300 it was rebuilt to reach its current height, acquiring the characteristic towers, although some towers were not constructed until the 15th century. The ringwall is still largely intact. In 1361, Gotland was conquered by Valdemar IV of Denmark and Visby became a Danish city. Important as it was, some setbacks occurred. In 1391, 1394 and 1398 it was taken and plundered by the Victual Brothers, pirates who sailed the Baltic Sea. In 1411, King Eric of Pomerania had the castle of Visborg constructed, and settled himself there for twelve years, during which the city virtually became a pirates nest, and the commerce halted. As of 1470, the Hanseatic League rescinded Visby’s status as a Hanseatic town. In 1525, the final blow came. The merchants of Visby were in a feud with Lübeck in what is now Germany. The Lübeckers burned down all Visby’s churches except the cathedral. The ruins have been preserved until this day, adding their gravity to the modern city. Gotland was again conquered by Sweden in 1645 at the Treaty of Brömsebro, after 300 years of Danish rule. The city developed slowly as things were left as they were. In the mid 18th century some attempts were made by Swedish government officials to improve living standards, but little was accomplished. Not until the early 19th century did Visby once again attract commerce and a harbour industry. At the same time – 1808 – Gotland was conquered by Russia, but was peacefully taken back by the Swedes after only a couple of months. Some affectionately call Visby the “city of roses and ruins” and natives to the island often just say “town”. Whether it lives up to that distinction among other old Swedish cities is debatable. In the first week of July, Visby is the scene of the Almedalen Week (Almedalsveckan), an important meeting place for everyone involved in Swedish politics. During the week, representatives from the major political parties in Sweden take turns giving speeches in the Almedalen park. In August the tourist season is at its peak. In week 32 from Sunday to Sunday the annual Medieval Week (Medeltidsveckan) is held. During this time regularly dressed tourists are outnumbered by people dressed in Medieval costumes. The festival started in 1984. There are a variety of events: music, jesters, theater, a medieval market, jousting tournaments and much more. Visby is linked to the mainland of Sweden by ferry and by airplanes. The three-hour ferry arrives from Oskarshamn in Småland and Nynäshamn near Stockholm. During summertime the ferry also runs to Grankullavik on Öland. 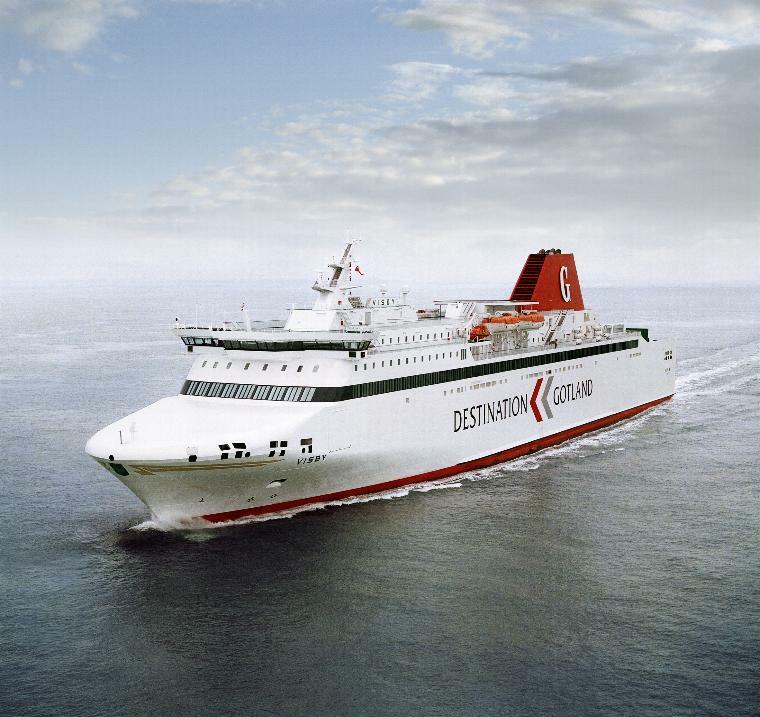 The ferry is run by Destination Gotland and subsidized by the Swedish government. I have taken both, ferry and airplane. The plane takes around 45-60 minutes depending on whether you take it at Arlanda (bigguest airport in Sweden – 20 minutes far from Stockholm by train) or at Broma (really close to stockholm). The prices range as usual depending on when you buy it. I got a ticket by 45 euros one month in advance, but of course, prices change according to the season because summer is the best time here. In summer time you also can find flights direct to Gothemburg. 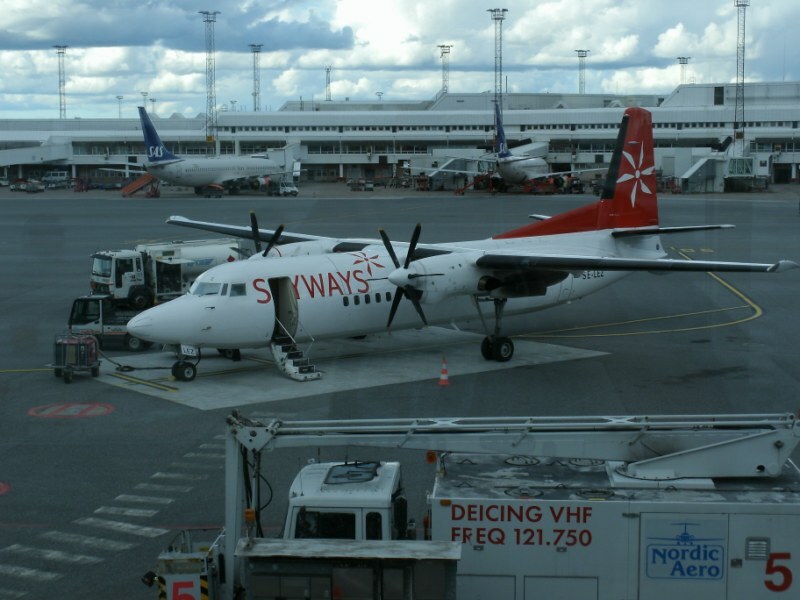 There are two companies which operates Skyways and Gotlandsflyg. If you are studying in Sweden, just contact the student assosiation (Rindi) and you should be able to get one way tickets through Gotlandsflyg by around 30 euros. On the other hand, you can take the Ferry. It takes roughly 3 hours to Oskarhsamn or Nynäshamn. I have gone to Nynäshamn, is the best way to get to Stockholm. If you book in advance, you can get a ticket in tourist class by 14 euros. It is really comfortable although take care if you suffer sea-sick. From Nynäshamn to Stockholm takes around 1 hour by buss. You can book the buss together with the Boat in the same application (click here). Egna dikter, somliga med gotlänsk anknytning och i svensk version. Östersjön, solen, fossiler, – det lockat till Gotland på Visby. Mein Gedicht „Ausfahrt“ bündelt in Kürze unsere Lebensfahrt. Das uralte Motiv des Wesens, das, Ankunft und Ende, unterwegs ist. Oscar, I think it would be nice if you would write in this blog your own thoughts about Visby, your impressions and “useful information” besides how to get to Visby..